Normally we play games on mobile or PC/Laptop in daily routine for relaxation. As we know Facebook is rather the most popular social networking site and we can share our thoughts, images, videos and audios to our friends and family members. Beside all these things Facebook also provides you a Game portal. Where you can enjoying to play best Facebook games, when you feeling bored with chatting and uploading things. Suppose you are at office or traveling to somewhere and you have some free time, At that time you can simply open your Facebook and you can play games anonymously without being online to anyone and you can enjoying your free time. Facebook rather has large amount of games you can pick any game according to your taste. They also have different categories like Casual Games, Battle and Casinos etc. You can also find hot games which are most famous in the trend. Or otherwise you can check recommended, similar to, action games, sports games etc. As on Facebook you can also play these games on Android and IOS platform. Check out the given below games which are Best Facebook games to play and enjoy in your free time. List Of Best Facebook Games 2019. #6 Bubble Witch 2 Saga. Other Best Facebook Games List. 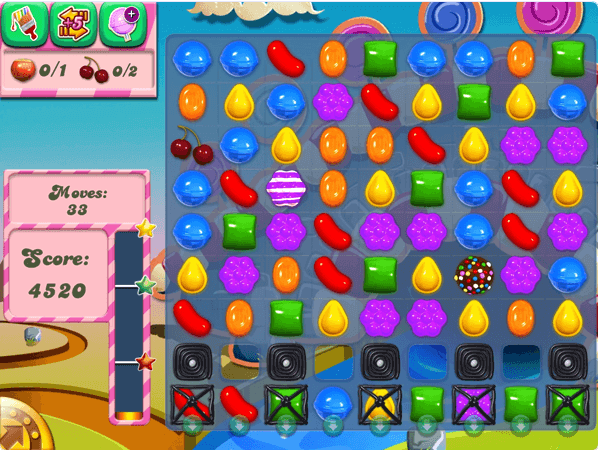 Candy Crush Saga is most popular in all best Facebook games to play. But for extra moves or lives payment will require. It is the sweetest puzzle game where you can match and switch hundreds of level and enjoying the delicious puzzle adventure. 100 million people are playing this game and have 4 star rating out of five. It is the top most popular game on Facebook. 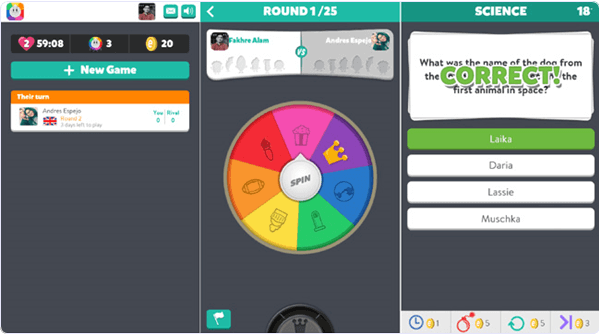 You can play it alone or with your friends and challenge them in this game. 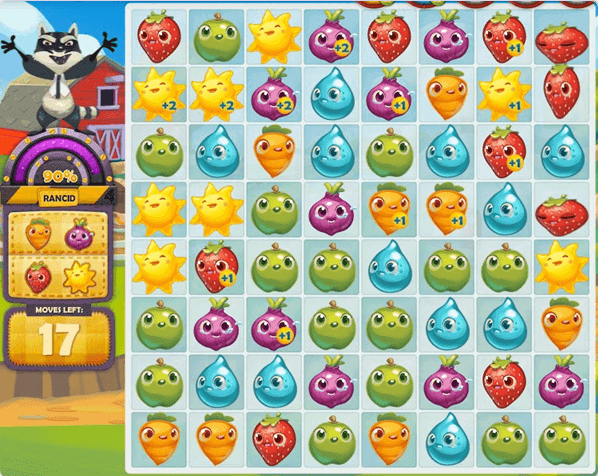 Farm Heroes Saga, this game is created by the maker of Candy Crush Saga & Pet Rescue Saga. You can enjoy this game by rescue farm islands with the help of Farm Heroes. In this game you have to stop the Rancid the Raccoon from spoiling the precious farm lands. You can also enjoy hundreds of levels of strawberry switching, carrot crunching and help Farm Heroes to save their farm islands. 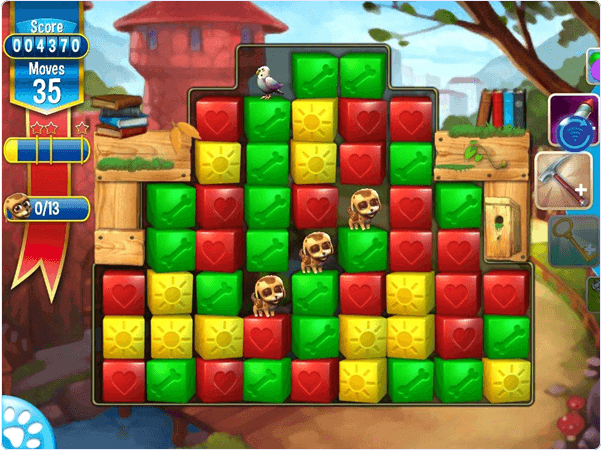 Pet Rescue Saga is another best Facebook game, In this game you have to rescue the pet from kidnapper by matching two or more blocks of the same color. Due to the limited moves you have to plan them carefully. You can also improve you puzzle skills with the help of this game. It is completely free to play and either you can play it alone or with your friends. In this game there are six different categories :- entertainment, and sports, geography, history, art & literature, science and technology. You have to get the characters similar to one of the categories. After this you have to spin the wheel and this will decide which category you will have to answer. You can answer the category of your choice if the wheel stops at the special slot. Dragon city is a free game to play and mostly the 10 million people are players of this game. 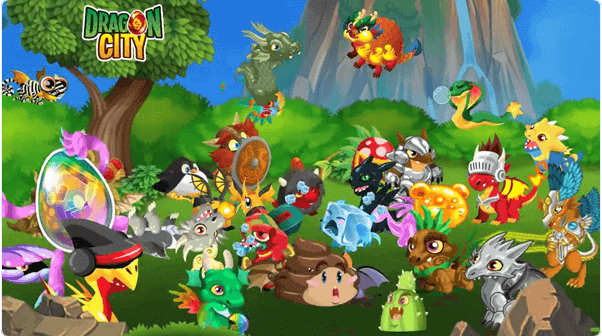 Players have to Build magical world in Dragon City. You can Gain hundreds of dragons and you have to breed them and you can make them level up in order to become a Dragon Master. You can train your dragons for battle and engaging them in combat with other players. 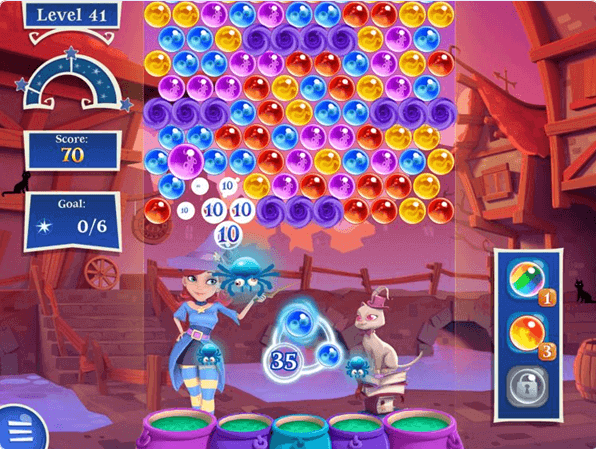 Bubble Witch 2 Saga is also created by the makers of Candy Crush Saga & Farm Heroes Saga. It is completely free game to play but some of its item require payment. In this game you have to help the Stella and her cats to stop dark spirits that are plaguing their land. While bursting bubbles you can enjoy the exiting adventure and win new levels. 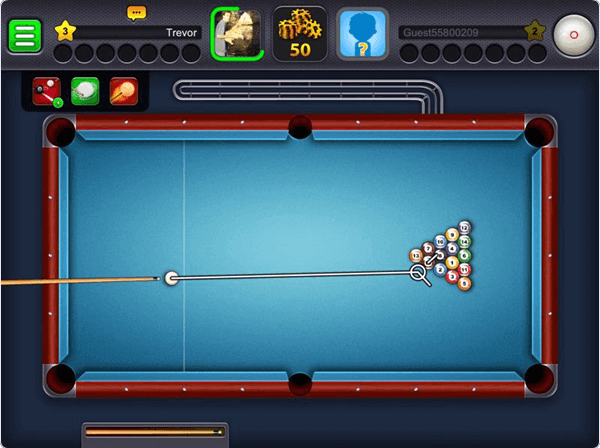 8 Ball Pool is produced by Miniclip and world’s greatest and best online free Pool game. It is amazing in list of all best Facebook games. Play with your friends and challenge them against with you, play live tournaments with millions of live players. It is a free game and more than 10 million people are players of this game. You can enjoy this game anytime on Facebook in your free time. 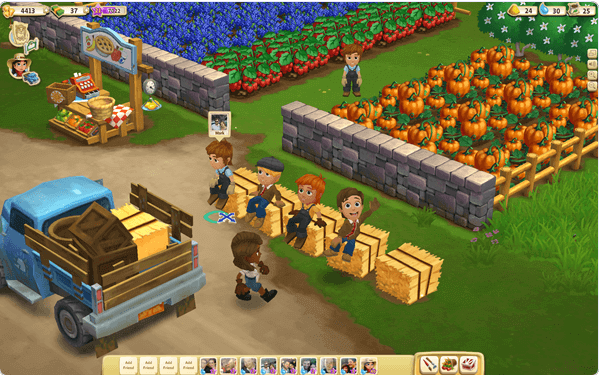 You can create your own thriving farm in a beautiful 3D world with adorable animals, full of crops that bend in the breeze, and friends that help your farm come to life. It is a free game and you can play it on Facebook anytime. Most of the 10 million people are players of this game. 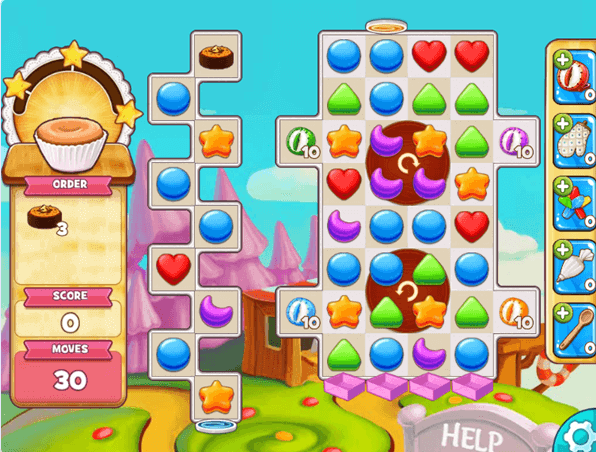 Cookie Jam is free game to play and more than 5 million people are players of this game. This game have fun and challenging equal parts. While you traveling bakery you can set sail on this new puzzle adventure and explore mouth-watering patisseries from the world you have to crunch you cookies before they crumble. Criminal Case is rather a detective based Facebook game. Players have to solve murders and this can be done using the hidden object game play. You can also solve crime scene puzzles with help of finding relevant clues. This game has an in game currency that can also be used to perform various tasks. This game is a must try for all Facebook users. Here are the Top 50 best Facebook games that you can try as well. Angry Birds (video game) Play Here. Amnesty the game Play Here. Dawn of the Dragons (video game) Play Here. EA Sports FIFA Superstars Play Here. Family Guy: The Quest for Stuff Play Here. Game of Thrones Ascent Play Here. Global Warfare (video game) Play Here. King's Bounty: Legions Play Here. Letters of Gold Play Here. Madden NFL Social Play Here. Marvel: Avengers Alliance Play Here. Nord (video game) Play Here. The Pioneer Trail Play Here. Township (video game) Play Here. We hope you enjoy these best Facebook games. This list is according to our research so we will update new Facebook games as soon as possible. If any popular and best Facebook games is missing then must leave you comments.